BYC has been providing clients with top quality products and a range of charter services in Slovenia since our beginning. Now we are presenting a novelty in the field of boat charter, a unique offer which will further contribute to our success and recognition in nautical tourism in Slovenia. We are proud to be the first company in Slovenia to present you with a new sailing experience – the organization of tailor-made sailing events. The idea came to mind after the ever increasing interest and demand for the organization of such events. Many successful companies and business people today realize that it takes much more to sign a contract now than in the past. Of course it is important to show respect to your clients or partners but it is so much more important to make it personal and make them feel special. That is why we feel that a custom-made sailing trip would be the right choice if you want to present yourself in a different, more unique way. These custom-made events are made for individuals as well as companies, perfect for team-building. Imagine the joy of your employees when they get rewarded with a sailing trip. Or having the meetings with your business partners in a relaxing environment out in the open. It is also great for company parties at the end of financial year or just a party with your business partners and friends. A sailing boat can be rented together with a skipper for as little as only a day but of course you can choose the duration of your trip. The trip is planned solely according to your needs and wishes. We are aware of how precious your time is, that is why we take over the whole organization. Your job is to be completely relaxed and give all your time and attention to your guests. Sailing with business partners or colleagues differs significantly from holidays with your family. You might want to rent a few identical boats in case you feel a bit competitive and want to organize a mini-regatta with your partners. Anything you need, we make it possible. Naturally, we will ensure that you only get the best skippers, who will, if you wish to do so, teach you the basics of sailing and how to react in all situations at sea as they can oftentimes be very unpredictable. If you wish to have presentations or lectures while sailing, we will arrange a banquet based on your wishes and demands, whether at sea or on land. As we have years of experiences organizing such events, you can be completely relaxed and need not to worry about anything but focusing on your guests. All our programmes are completely flexible and organized for you personally. We always tend to give priority to originality and your well-being. From our experience we can say for sure that these types of events are an excellent upgrade of either business conferences or the end of financial year, but it is also an original reward for your employees or team-building as you have the possibility to learn the basics of sailing with our experienced skippers. 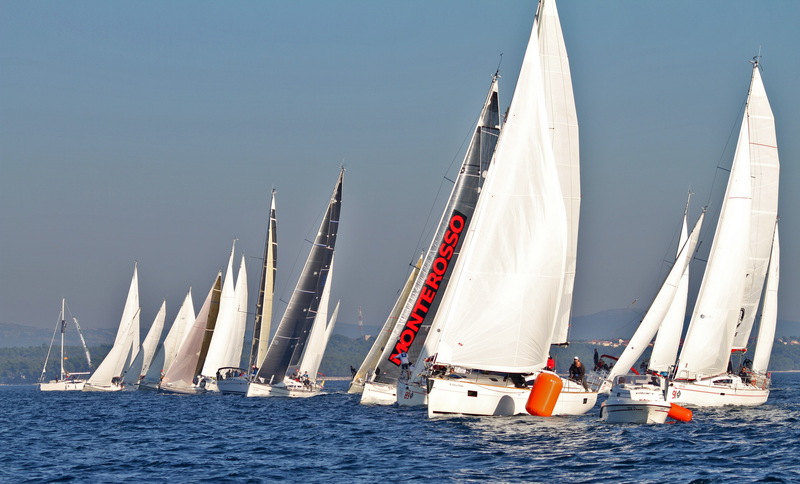 The custom-made sailing events definitely add value to every business partnership and they will present you in the best possible way.